This article is a review of THEY CAME TOGETHER. Skewering the romantic-comedy is akin to shooting fish in the analogous barrel. That doesn’t mean it isn’t pleasurable to witness a coterie of gifted comedians holding the shotgun. Spoof and pastiche can of course go awry. ROLE MODELS and WET HOT AMERICAN SUMMER director David Wain keeps the damning laughter on track. Not all the jokes hit a home run, but the gag rate is rapid enough to forgive. Even when moments fall flat, there is the sense of stand-up spontaneity and energy keeping proceedings barrelling along. 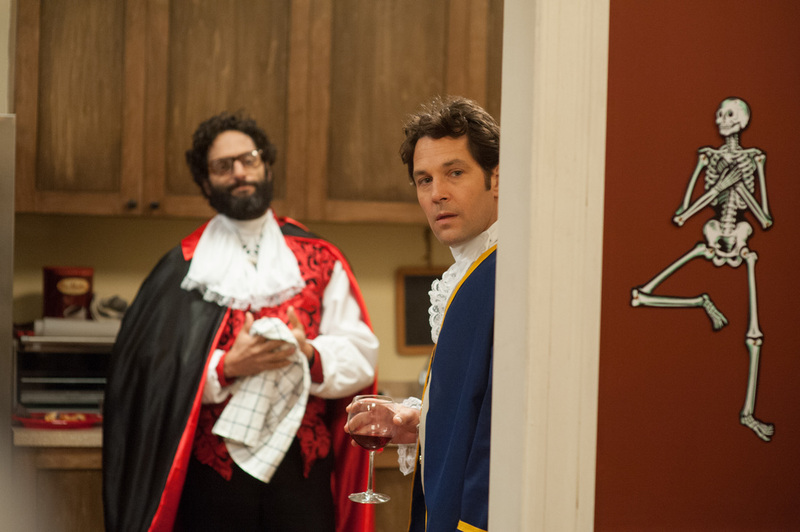 Using an awkward New York double dinner date as the film’s skeleton, Joel (Paul Rudd) and Molly (Amy Poehler) recount to Kyle (Bill Hadder) and Karen (Ellie Kemper) how they got together. Voice-over, and returning to the couples directly, provides on-going commentary through rom-com staples. Straightaway Joel and Molly intentionally annoyingly (there’s a lot of this) tell their friends how the Big Apple is “another character” in their love story. Molly is the klutzy owner of independent confectionary store, Upper Sweet Side. Laser accuracy hones in on the grating genre trope of having the female lead as ditzy. So the evisceration, of the demeaning, insidious nature of the so-called romantic-comedy, begins. Meanwhile, Joel, an executive at mega-corporation Candy Systems Research, is tasked with shutting down - you guessed it - plucky non-rival Upper Sweet Side. His heart lies away from conglomerate steamrollering, dreaming small: Wanting to own his own café, “Cup of Joel”. He lacks the courage and impetus to fulfil his fantasy. Joel’s fellow colleagues are the douche bags we all expect – his corner office has a “rubber bowl” containing a ready stash of condoms should the necessity arise. Awkward home truths, aimed at filmmakers and audiences alike, about the genre denizens populated by stereotypes, clichés and archetypes are not held back. Joel’s friendship group consists of character traits that add up to the lead, rather than be anything more than two-dimensional. Molly has only one real friend, there to help in the clothes montage sequence. 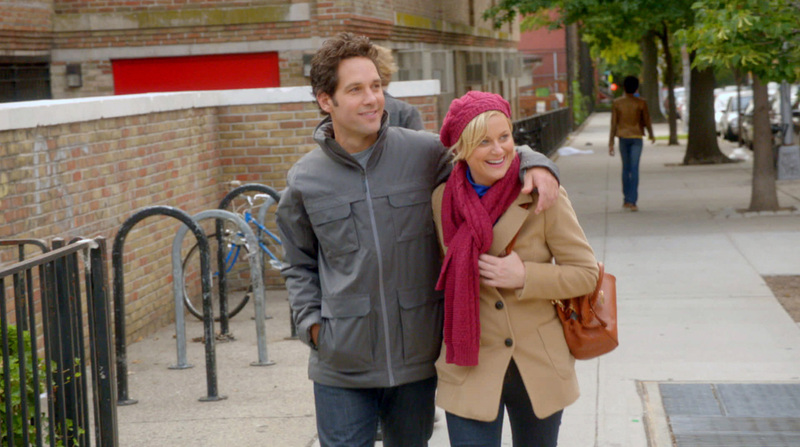 Reviewing THEY CAME TOGETHER, if read straight, might be applied to just about every mainstream rom-com; that’s how good the film can be at zeroing in on its targets. Sometimes it feels like improvisation has won out over lines that needed more honing, or resorting to exclaiming “sh*t” when a more artful stop-gap is required, or we are being sledge-hammered an observation, but one must high-five the team for commitment. As the cameos mount up, any kind of resistance to THEY CAME TOGETHER breaks down. Wait till you meet Molly’s exes! Like BRIDESMAIDS, among the wry observations, there is still room for toilet humour. The only thing THEY CAME TOGETHER doesn’t delve into is why audiences still keep flocking to the genre.